The Watertown Reds and Somerville Royals split a doubleheader at Trum. Soren Hanson (3-0) went the distance in the opener to give the Royals a 4-3 win. Sean Cameron’s fifth inning grand slam erased a 3-0 Reds lead. The Reds came back and took the second game 16-10. Will Breenan led the way with two homers, three hits, and five RBI’s. Mac Jacobson and Cal Christofori each added three hits and three RBI’s for the Reds. In Wakefield, the Lexington Blue Sox won their fifth straight behind the pitching of Ryan Filipowicz (3-1) over the Merchants 9-1. Alex Voitik homered in his third straight game and drove in four runs. Taylor Ferguson had two doubles and three RBI’s and Jake Willsey added three hits and scored three runs for Lexington. The Melrose Americans got three hits and three RBI’s from Malcolm Nachmanoff, and two hits each from Nick Herzog and Charlie Huegi, to get past the Arlington Trojans 9-6 at Summer Street. Ronnie Luke (2-1) picked up the win with three innings of relief. In the second game of a three team doubleheader at Summer Street, Josh Desai (5-0) threw his second straight shutout, striking out 12 and scattering five hits, to give the Andre Chiefs a 2-0 win over the Trojans. Tony Serino and Shane Stande drove in the Chiefs’ runs. On Monday, the Merchants visit the Americans at Morelli Field at 7:30 PM, the Reading Bulldogs host the Chiefs at Endicott College in Beverly at 8:00 PM, and the Royals and Blue Sox meet at Lexington High at 8:00 PM. The Blue Sox erupted for 17 runs and 20 hits to put an end to the Somerville Royals four game winning streak 17-1 in Lexington. Taylor Ferguson hit two homers for the Blue Sox while Alex Voitik hit his third of the season. Drew Leenhouts (3-0) picked up the win. In Arlington, the Trojans beat the Melrose Americans 3-1. The Reds got three RBI’s from Kyle LaVigne, and two each from Blaise Cormier and Will Breenan, to lead them to a 12-3 win over the Reading Bulldogs at Victory Field. Matt Horan (5-1) allowed six hits and struck out six, in his six innings of work, to record the win. Logan Gillis added a couple of hits and an RBI for Watertown and Chris Seidl had two of the Bulldogs’ hits. The Andre Chiefs at Lexington Blue Sox games were postponed due to wet grounds in Lexington. On Friday, the Arlington Trojans host the Melrose Americans at Summer Street Field at 7:00 PM and the Somerville Royals visit the Blue Sox in Lexington at 8:00 PM. Jonathan Richard (3-4) spun a four-hitter, retiring 15 of the last 16 batters he faced, when the Somerville Royals erased a 1-0 sixth inning deficit to beat the Andre Chiefs 4-1 at Maplewood. It was the fourth staright win for the Royals. John Collette and Wagner Gomez delivered big hits in both the sixth and seventh as the Royals scored two runs in each inning to take the win. Mitchell Clegg (2-1) worked six innings for the Chiefs and allowed two runs. In Wakefield, the Merchants scored three times in the bottom of the sixth inning to take a 5-3 win over the Melrose Americans. Bobby Losanno led the way for the Merchants with a perfect 3-3 night. Mark Webber, Mike Sorrentino, Ryan Collins, and Dillon Koster, had RBI’s for Wakefield and John Jennings hit a homer for the Americans. Joseph Maguire (3-2) went the distance for the Merchants to get the win. Josh Desai (4-0) threw a complete game two-hitter, striking out nine and facing only 23 batters, in a 7-0 Chiefs shutout win over the Arlington Trojans on Tuesday at Pine Banks. Matt Nuzzo and Tony Serino each had two RBI’s for the Chiefs. At Morelli, Drew Brzozowski (1-0) got the win, and the Lexington Blue Sox got home runs from Jake Willsey, Alex Voitik, and Taylor Ferguson, on the way to a 10-2 win over the Melrose Americans. The Wakefield Merchants at Somerville Royals game was postponed due to wet grounds at Trum Field. On Wednesday, the Merchants host the Americans at Walsh Field in Wakefield at 6:00 PM and the Royals visit the Chiefs at Maplewood/Malden Catholic at 8:15 PM. Soren Hanson threw a one-hitter, striking out 11, to lead the Somerville Royals to a 10-0 win over the Melrose Americans. John Collette, Rob Caggiano, and Jake Cintolo all homered for the Trojans. In the second game of a three team doubleheader at Trum, the Royals beat the Arlington Trojans 5-1 behind the pitching of Rob Gilbride. George Crowley and Brian Campbell had three hits each for Somerville. In Wakefield, the Merchants overcame a 5-2 Chiefs lead and went on to an easy 13-6 win. Brandon Barlett (1-0) went six innings to get the win. Bobby Losanno, Dillon Koster, Paul McGunigle and Anthony Cecere, each had two hits for Wakefield. In Arlington, Kelvin Guzman (3-0) got the win and Sal Frelick and Jake Willsey each homered in the Lexington Blue Sox 11-2 win over the Trojans. Nate Beck (3-1) got the win with a four-hitter, and Logan Gillis drove in three runs, to give the Watertown Reds a 5-2 win over the Reading Bulldogs at Endicott College. Southpaw Andrew Hamel allowed just three hits in six innings to lead the Trojans to a 4-0 shutout win over the Andre Chiefs at Summer Street. Ryan Hood, Brendan Rocha, Kyle Boudrias, Kyle Dembroski, and Aaron Wilson, had the five hits for Arlington. Nate Witkowski had two of the Chiefs four hits and Peter Copa and Mike Andre had the other two. Hamel (1-0) struck out four before giving way to Matt Wesolowski, who allowed one hit in a scoreless seventh. Joe Saia (1-1) took the loss. In Watertown, the Reds edged the Wakefield Merchants 7-6. Bill Sullivan (3-0) went the distance to get the win. Justin Forman had two hits, including a triple and three RBI’s, and Mike Samko also had two hits and a triple and drove in a couple to lead the Reds’ offense. Mike Sorrentino and Mark Webber each had a double and two hits for the Merchants. Mitchell Clegg tossed a two-hitter, and Johnny Welch with a homer and 2 RBI’s and Mike Andre with a triple and 3 RBI’s, led the Chiefs to a 8-0 win over the Reds in Watertown. Mike Barbati added three hits and Shane Stande had two more for the Chiefs. Dan Chaisson and Cal Christofori had the Reds hits. Clegg 2-0, struck out eight. Matt Horan (4-1) took his first loss of the year. In Lexington, Drew Leenhouts scattered six hits over four innings to get the win when the Blue Sox beat the Reading Bulldogs 8-2. Ross Curley led the Lexington offense with two doubles and Jeff Costello had a 2 for 2 night at the plate. Chris Law, Rob DiFranco, and Bill Christopher all threw a scoreless inning for the Blue Sox. Kevin Marciano, Mike DeDonato, and Rosario Missiti all had a couple of hits for the Bulldogs. The Somerville Royals overcame a 3-0 fourth inning lead to get a 7-3 comeback win over the Melrose Americans at Trum Field. Jonathan Richard (2-4) went the distance to get the win. The left-hander allowed just four hits and struck out six. Rob Caggiano and Nick Valdario both homered, Wagner Gomez had a triple and two RBI’s, and John Collette went 3-3 for the Royals. 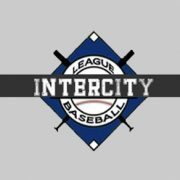 On Friday, the Chiefs visit the Trojans at Summer Street Field in Arlington at 7:00 PM and the Wakefield Merchants and the Reds meet at Victory Field in Watertown at 7:45 PM. Jared Freni (5-2) struck out 12 in six innings, and Tim Dunphy picked up the save, when the Andre Chiefs took a 4-2 win over the Lexington Blue Sox at Maplewood. Tony Serino had a two RBI single and Johnny Welch hit a solo homer for the Chiefs. Ross Curley and Thomas Russo each had an RBI and two hits for the Blue Sox. In Wakefield, Joseph Maguire (2-2) went the distance, striking out eight, when the Merchants beat the Arlington Trojans 6-2 at Walsh Field. Mark Webber had a big night at the plate going 3-3 with two doubles, two runs scored, and two RBI’s. Bobby Losano added a solo homer for the Merchants. At Morelli, the Watertown Reds erased an 8-4 seventh inning lead, scoring 11 runs in the top of the seventh, to get a 15-8 win over the Melrose Americans. Will Breenan, Dan Chaisson, and Cal Cristofori, all had homers for the Reds. Nate Beck (2-1) picked up the win. The Reading Bulldogs-Somerville Royals game that was scheduled to be played at Lexington High School was postponed due to a light failure. Chris Hopkins, Matt Hosman, and John Jennings each had doubles and two RBI to lead the Melrose Americans to 7-1 win over the Reading Bulldogs at Morelli Field. Chris Mitchell (4-2) went 5.1 innings to get the win with help from Aran Hamilton-Grenham, who pitched the last 1.2 innings to record the save. In Malden, Josh Desai threw a complete game four-hitter, and Peter Copa belted a grand slam, when the Andre Chiefs scored seven times in the fourth inning to beat the Wakefield Merchants 9-2. Mike Andre and Mike Burgoyne each had two hits for the Chiefs. Mark Webber drove in both of the Merchants runs with a third inning triple and a fifth inning single. Desai, now 3-0, struck out seven. On Tuesday, the Somerville Royals host the Arlington Trojans at Trum Field at 8:15 PM in the only ICL game on the schedule.